“Ozymandias” is hands-down the best poem in the English language. Pithy, concise, sardonic, ironic, expressive – whatever your mode of discourse, it’s got it covered. It therefore was a natural for the “Tyger and Other Tales” project. The arrangement is supposed to be evocative, suggesting a desert caravan at first, but struggling and then surging into something more powerful. We had to syncopate the phrasing a little bit, in order to make the words fit with the arrangement, and vice versa. What I mainly remember is that it was complex to record, with at least 72 channels of stuff happening, probably more with returns. Krysia’s beautiful singing has just the right measure of world-weariness, resignation, defiance and pathos. Napoleon viewing the Sphinx; contemplating his mortality. DAVID KRONEMYER: “The Lady of Shalott” is a Victorian poem by the English poet Alfred, Lord Tennyson (1809–1892). It recasts Arthurian subject matter, loosely based on medieval sources, and takes up themes that would become more fully realized in “Idylls of the King” (Wikipedia). I was mesmerized by this poem back in high school (circa 1968-1970), and set it to music. Originally I arranged it for 12-string guitar and wind quintet, comprising oboe; clarinet; French horn; English horn; and bassoon. I resurrected and revised the arrangement in 1996 for the album Tyger and Other Tales. In the meanwhile, of course, Loreena McKennitt came out with her lovely version, on The Visit (1991). There was some discussion if recording this arrangement somehow might be seen as derogating from the beauty of hers. They’re so different, eventually we decided not to worry about it. The painting, of course, is John William Waterhouse’s eloquent, ethereal, evocative, imaginative, fantastical vision. It dates from 1888, so it’s contemporary with Tennyson’s poem. It actually was the cover for Tyger and Other Tales, used under license from the Tate Gallery, London, England, where I have spent many happy hours viewing it. 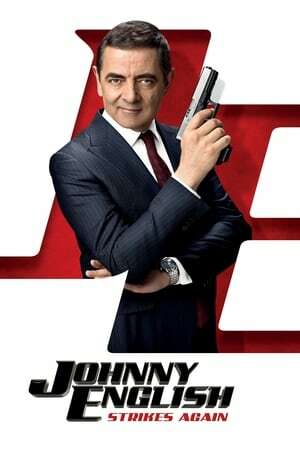 Watch Johnny English Strikes Again 2018 Online 123movie, Watch Johnny English Strikes Again 2018 Online Free megashare, film Johnny English Strikes Again online, Watch Johnny English Strikes Again 2018 Online Free, watch full Johnny English Strikes Again movie online, watch full Johnny English Strikes Again film online, download film Johnny English Strikes Again now, watch full movie Johnny English Strikes Again 2018, Johnny English Strikes Again movie trailer, movie Johnny English Strikes Again 2018 trailer, download movie Johnny English Strikes Again now, Watch Johnny English Strikes Again 2018 Online Free Putlocker, Watch Johnny English Strikes Again 2018 Online Free hulu, Watch Johnny English Strikes Again 2018 Online Free Viooz, movie Johnny English Strikes Again 2018, download full film Johnny English Strikes Again, Streaming Johnny English Strikes Again 2018 For Free Online, Watch Johnny English Strikes Again 2018 Online Putlocker, download movie Johnny English Strikes Again, Johnny English Strikes Again live streaming film, Watch Johnny English Strikes Again 2018 Online Megashare, Streaming Johnny English Strikes Again 2018 Online Free Megashare, Watch Johnny English Strikes Again 2018 Online Free 123movie, Watch Johnny English Strikes Again 2018 Online 123movies, Watch Johnny English Strikes Again 2018 For Free online, Johnny English Strikes Again 2018 Watch Online, watch Johnny English Strikes Again movie now, watch full movie Johnny English Strikes Again 2018 online, Watch Johnny English Strikes Again 2018 Online Free netflix, watch Johnny English Strikes Again 2018 film online now, Johnny English Strikes Again 2018 film trailer, film Johnny English Strikes Again 2018, watch Johnny English Strikes Again film now, Watch Johnny English Strikes Again 2018 Online Viooz, live streaming film Johnny English Strikes Again online, trailer film Johnny English Strikes Again.